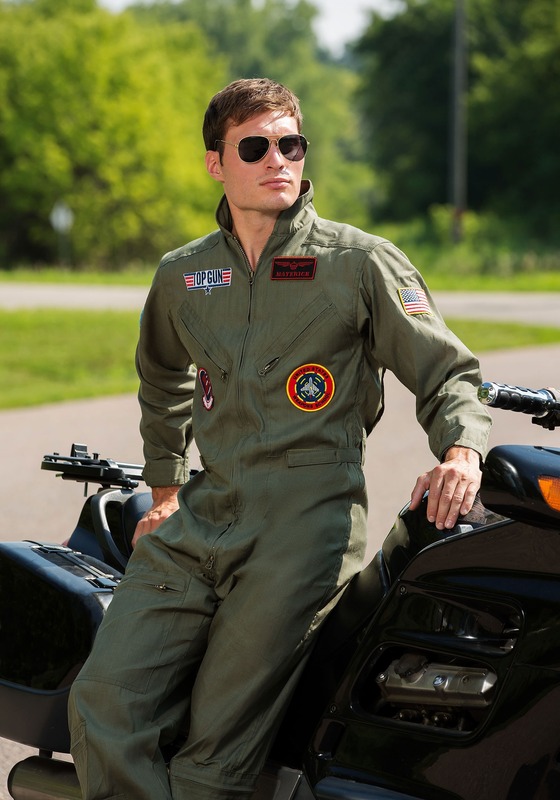 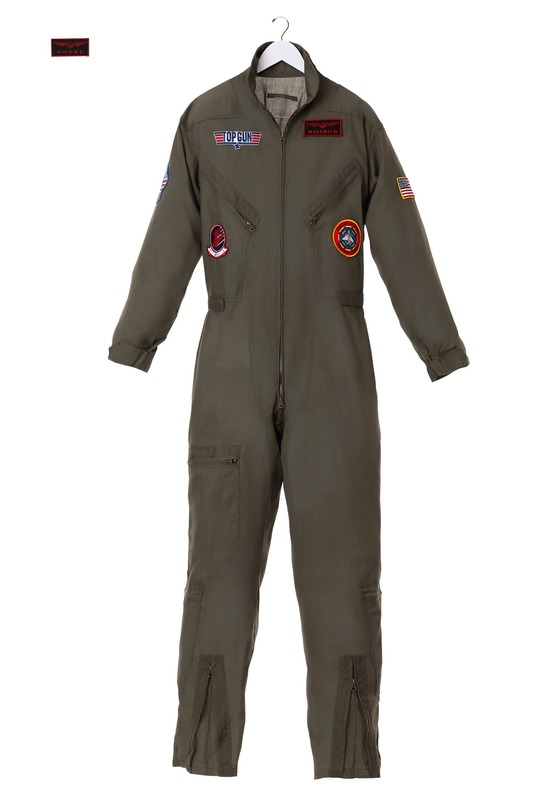 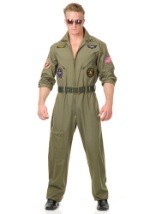 Soar to new heights and look like your favorite movie character in this Mens Plus Top Gun Jumpsuit. The licensed costume includes an olive green jumpsuit that is made from polyester. 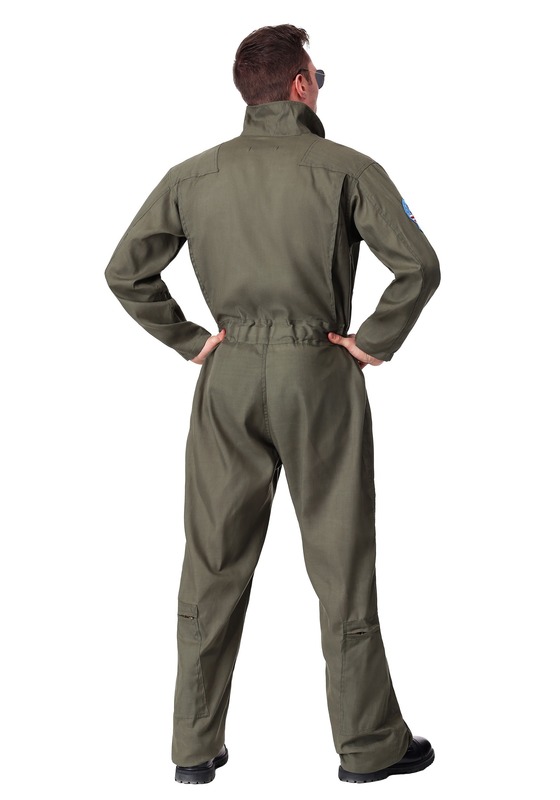 It zips in the front for closure and also has zipper pockets on the chest and legs as well as zippers along the bottom of the pants. 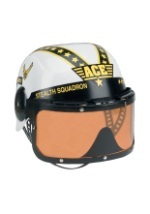 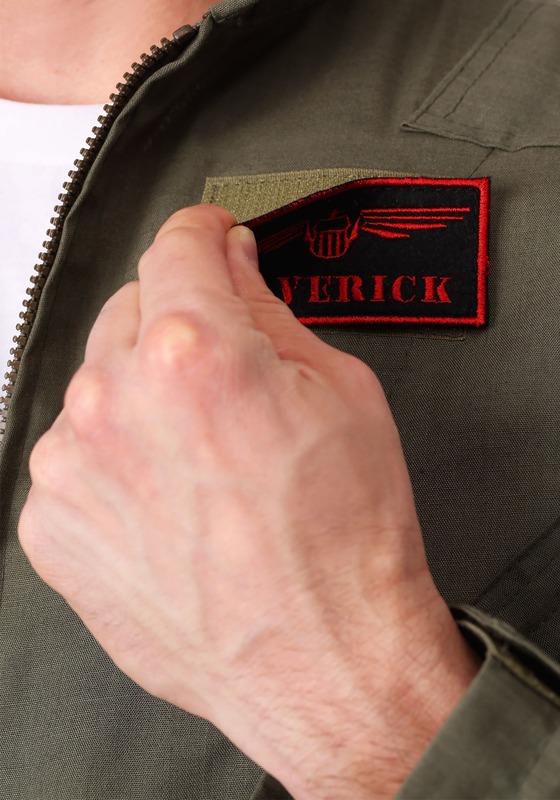 Patches embellish the top of the suit and shoulders including interchangeable name tags for Maverick and Goose. 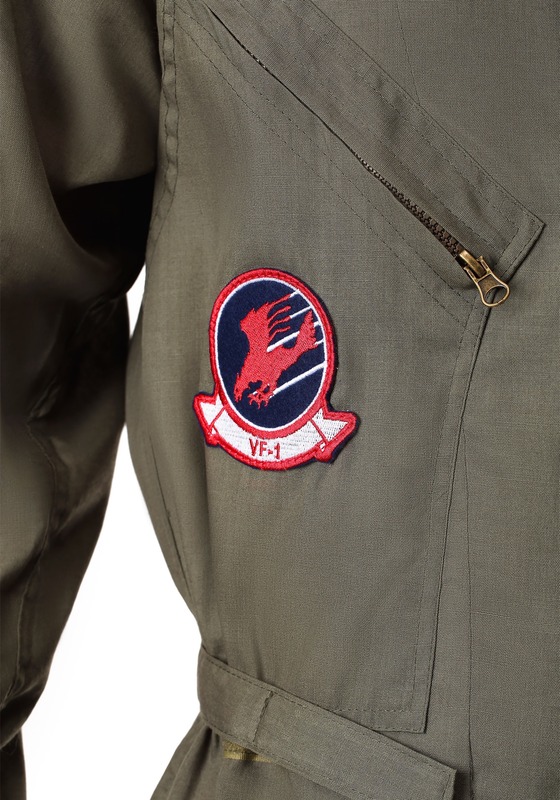 Other patches include the American flag, Top Gun logo, United States Weapons School, Tom Cat and more. 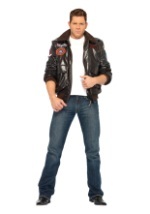 The costume is complete with a pair of aviator sunglasses. 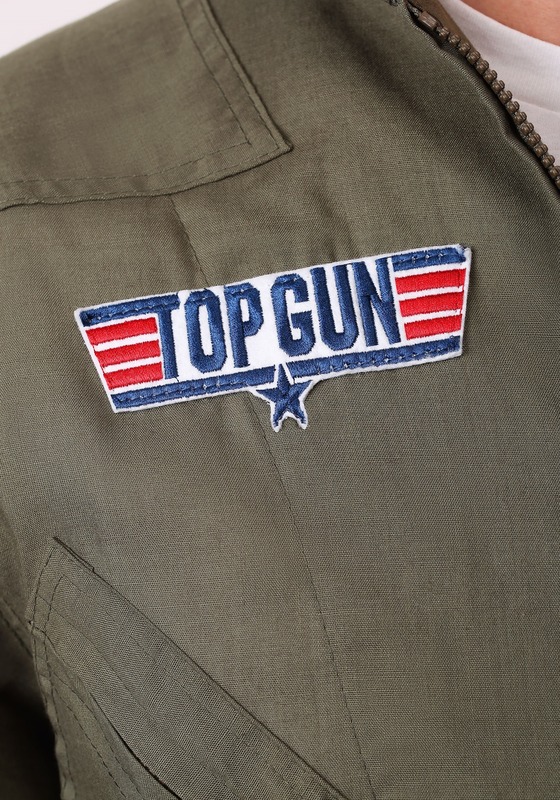 The Top Gun logo is printed small in the corner in white. 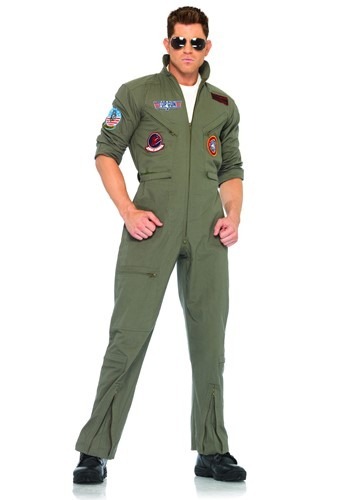 It's time to take off!